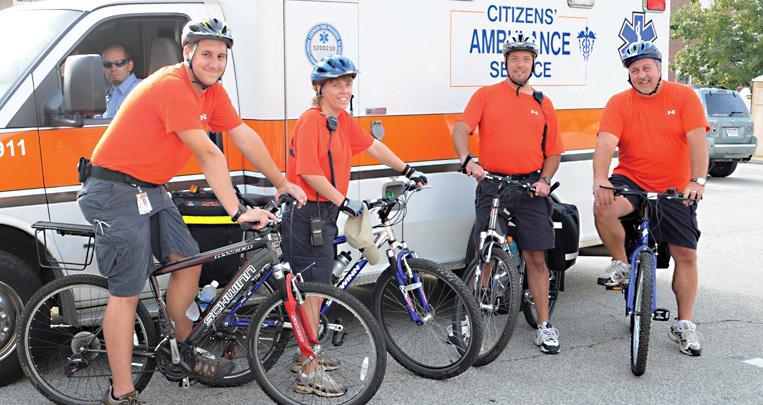 Our Bike Team is ideal for community events such as 5K run/walks, local fairs and festivals. This service allows EMTs and Paramedics equipped with basic and advanced life support (BLS and ALS) medical equipment to quickly administer emergency care in situations or locations where it would be difficult for an ambulance to maneuver due to terrain or large crowds. Standby Services (which include ALS or BLS staffed ambulances) can be arranged for community and school activities, as well as sporting events. To request standby services or pose additional inquiries, contact standbyservices@asmgt.com.